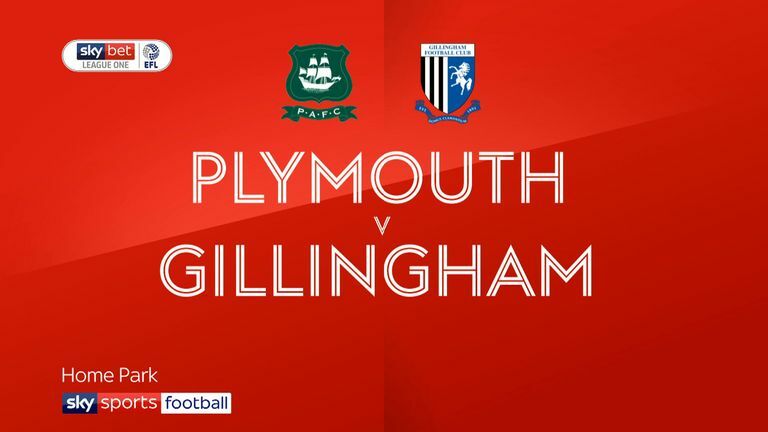 Highlights of the Sky Bet League One match between Plymouth and Gillingham. 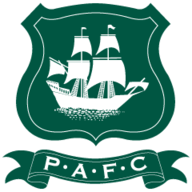 Plymouth Argyle recorded their second League One win of the season, beating Gillingham 3-1 at Home Park, to move off the basement. Argyle boss Derek Adams made five changes to the side which twice conceded a lead to lose 3-2 at home to Burton on Saturday. However it was front man Freddie Ladapo - who scored both Argyle goals on Saturday - who was again the toast of home fans. Ladapo fired home in the 22nd minute following a flowing move down the left and good work from playmaker Graham Carey and recalled Joel Grant. Ladapo doubled his tally for a second game when he turned Carey's cross past Tomas Holy with a brilliantly flighted 34th minute header. Substitute Ruben Lameiras swapped passes with Ladapo before slotting in a 73rd minute third. Gillingham replied through substitute Bradley Garmston fired home from 20 yards in the 76th minute. Holy made a superb save to keep out Carey's goal-bound strike, with Ladapo hovering and hoping to complete his hat-trick. Non-stop midfielder Antoni Sarcevic fired just wide in the 56th minute. 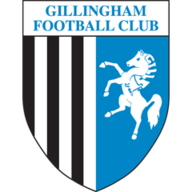 Gills sub Navid Nasseri's rising drive forced a 71st minute Matt Macey save.